A Dublin man who laundered money for the Kinahan crime gang has been sentenced to eight years in prison. Paul Carew, 41, pleaded guilty to three charges of money laundering, involving a total of over €600,000. The father of two was caught transporting €191,160 of criminal proceeds in an adapted van at Liffey Valley Shopping Centre in Dublin on 27 August 2016. The cash was found in a lever-operated concealed compartment of the van driven by Carew, who was described as "trusted" and "highly involved" in an illicit crime cartel. Just two months earlier on 24 June, Carew had been arrested at Dublin Auto Prestige Car Wash, Greenhills Road in Dublin, after gardaí saw him placing a box containing €350,000 in cash into a van. This money was also described as the proceeds of crime. Carew, with an address at Saggart Court Ledge, Saggart, had previously received a suspended sentence for possessing almost €68,000 of criminal proceeds in 2014. 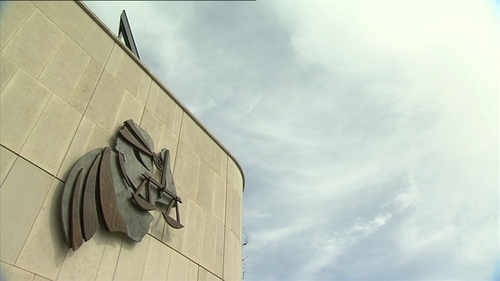 Passing sentence at Dublin Circuit Criminal Court today, Judge Martin Nolan said Carew had committed the "very serious offence" of money laundering for some organised crime cartel. "Money is what it's all about to them. They have to get their money out of the country or move it where they can use it, and people such as Carew are very useful to them and to some degree must be trusted," said Judge Nolan, adding that most of this money came from drug-dealing. The judge remarked that Carew had led a "blameless life" until his first offence and had been a responsible citizen and parent, noting that he was doing well in prison and "could be reformed". Judge Nolan said although the headline sentence was nine or ten years, he felt the appropriate sentence taking into account Carew's mitigating factors was eight years, backdated to 24 June 2017. Detective Garda Redmond O'Leary revealed that the Garda National Drugs and Organised Crime Bureau (DOCB) mounted a surveillance operation at Liffey Valley in August 2016. He told Garrett McCormack BL, prosecuting, that colleagues observed a Volkswagen Golf car approach a white Ford Focus van that Carew had been driving. Gardaí intercepted these vehicles after the surveillance team spotted a transaction occurring and the money was found in two packages in Carew's van. Det Gda O'Leary accepted when David Staunton BL, defending, put it to him that his client was a courier within the criminal enterprise and that he had been supplied with the van. The detective added that Carew was "very much a trusted person" and that he was "highly involved" within the organisation. He further accepted that it would have been difficult for Carew to say he could not continue with the parties to whom he had lost the initial €68,000 in 2014. Detective Garda Declan Reilly gave evidence that Carew was arrested on June 24, 2016 at a car wash on foot of a surveillance operation that was tackling "large organised crime" both inside and outside the State. Carew was followed by gardaí leaving his home early in the morning and driving to Walkinstown, where he got into a co-accused's van and then proceeded to the car wash on the Greenhills Road. Carew was spotted taking a box containing €351,000 in cash out of one van and placing it into a van driven by a third co-accused, whereupon all three were arrested. The court heard the money comprised of seven bales of cash with approximately €50,000 in each bale, wrapped in duct tape. Michael Bowman SC, defending, said Carew had a full and complete history of employment since the age of 15. He said Carew only committed the first offence when he experienced significant financial stress over a house purchase and the breakdown of a relationship. Mr Bowman said his client's subsequent offending "was not necessarily motivated by avarice or greed", but because he "could not walk away" having lost over €67,000 in the first offence. "He was given a stark choice and presented with firearms in the Phoenix Park and told 'these are your options,'", said Mr Bowman. Carew wrote a letter to the judge saying he truly regretted his actions and behaviour. He said the time he has spent in prison has been "a big wake-up call" and that he "most certainly" would never offend again. The court heard Carew is studying a number of courses in prison and is a volunteer listener with the Samaritans. "He should have known better," said Mr Bowman, but added that his client was an "errand boy" who was going to jail for the actions of others.